Gilbane was selected to provide construction management services for a new regional immigration and citizenship center for the General Services Administration under Oxford Development Company. 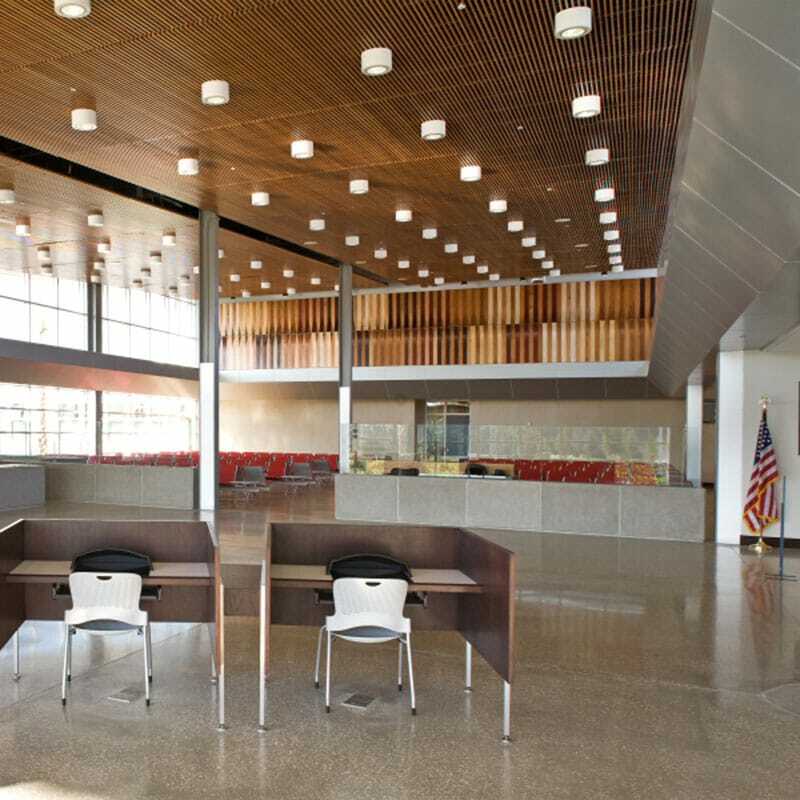 The facility is a single-story office building consisting of public entry, waiting, and processing areas that serve up to 250 visitors. 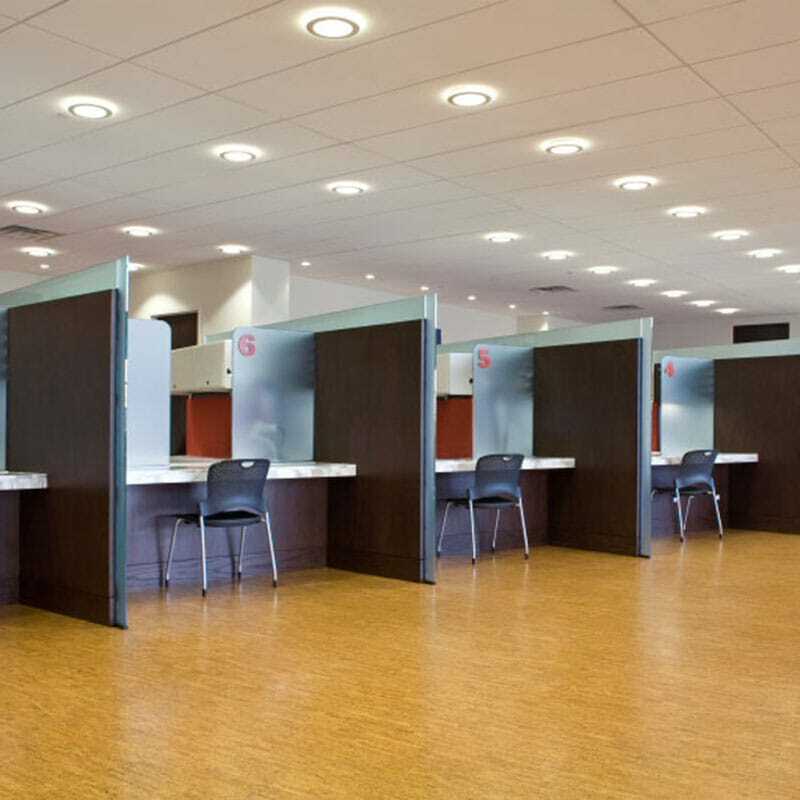 The open floor plan design contains several processing areas, ceremony room, consulting office spaces, secure mail room and staff areas. 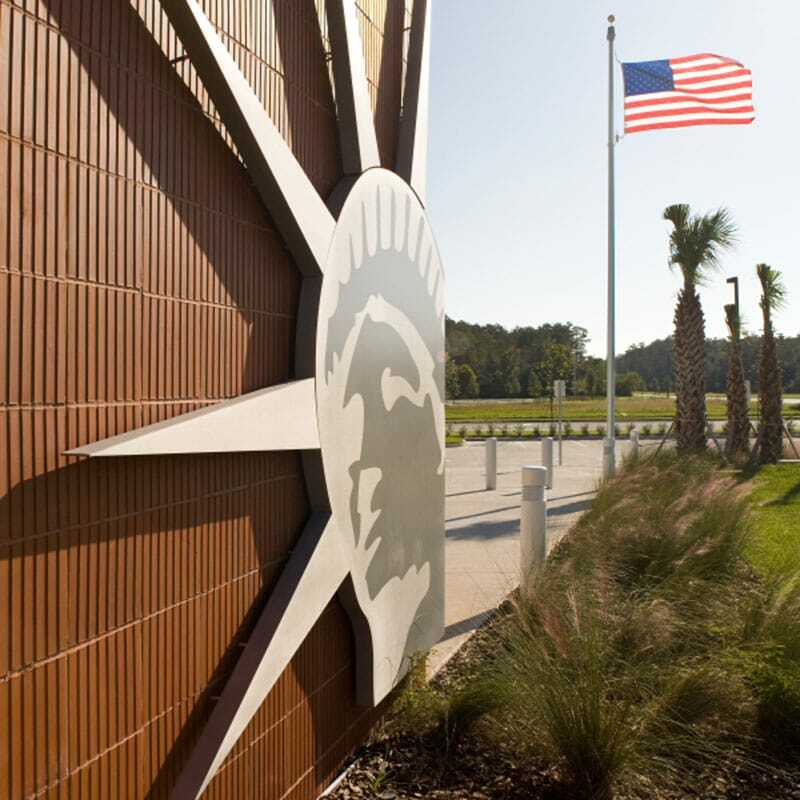 The environmentally-friendly facility received a LEED-NC® Gold Certification and is Energy-Star® compliant. As required, the building conforms to federal guidelines to meet Level 2 security and blast-protection. 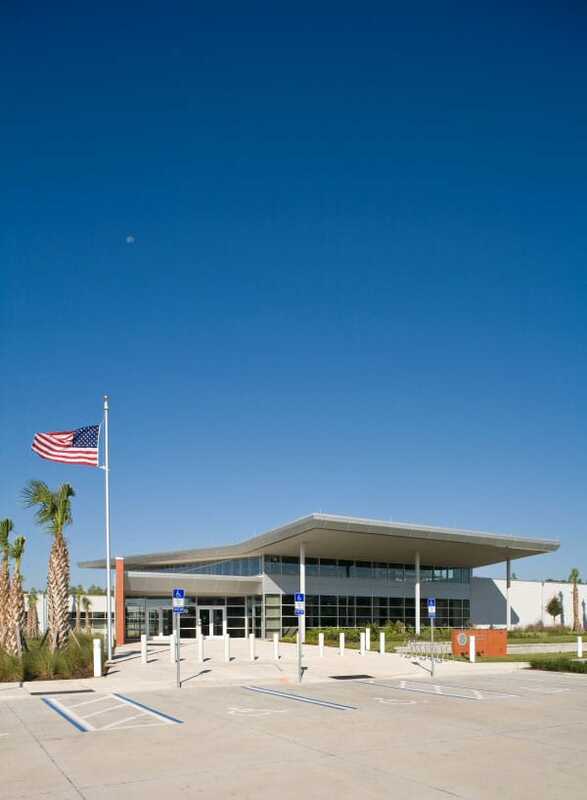 In addition to being one of the first buildings of its kind to meet new GSA-CIS program and design guidelines for regional CIS facilities, the building also meets the requirements of the Florida hurricane codes. The structure is a masonry load bearing exterior wall system with structural steel columns and beams. The roof structure is composed of bar joists and a metal deck with a Thermoplastic Polyolefin roof membrane over insulation, which was included as part of the sustainable design for the building. A key feature is the exterior façade of the center which is stucco on masonry with a Category 2 blast rated curtainwall throughout the exterior.